Ciara Willis focuses her practice on civil litigation in state and federal courts, primarily in matters involving business and contract disputes, condominium associations, homeowner associations, real estate, employment litigation, and other general commercial litigation matters. Prior to coming to private practice, Ms. Willis was a law clerk at Raymond James where she worked on matters relating to FINRA and SEC regulations, cyber security, contracts, employment law, international law, and other matters. Ms. Willis was also a Judicial Intern to the Honorable Justice Barbara J. Pariente at the Florida Supreme Court, responsible for making recommendations on petitions for discretionary review and preparing memoranda for the Justices. Additionally, she has worked with in-house counsel at Bankers Financial and interned with the Honorable Judge Paul Huey at the 13th Judicial Circuit General Civil Business Court. 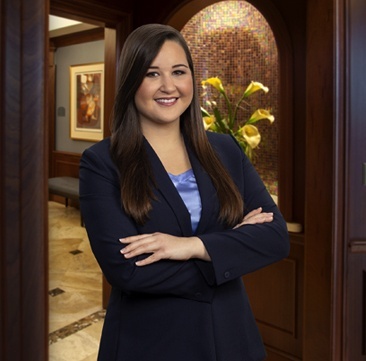 In her first year of practice, Ms. Willis was appointed to, and currently serves on, The Florida Bar Young Lawyers Division Board of Governors, one of the largest young lawyer groups in the country with approximately 25,000 members. Ms. Willis also currently serves as the Hillsborough Association for Women Lawyers (HAWL) Young Lawyer Division (YLD) Chair and is a member of the Stetson University College of Law Tampa Bay Alumni Leadership Committee. Ciara C. Willis, Note, Age is Just a Number; Not a Reason to Force Retirement, 11 J. Int’l Aging L. & Pol’y. (forthcoming Spring 2019). April 2018, Panelist, Courtroom Etiquette Panel hosted by The Florida Bar YLD Law Student Division, Stetson Chapter. Ciara Willis was born in Miami, Florida and raised in Jensen Beach, Florida.